Namibia’s Ministry of Agriculture, Water and Forestry Thursday announced that it has lifted the ban on timber harvesting. According to the ministry, the issuing of forestry permits for all purposes was suspended with effect from November 26, 2018. Since then, all the timber harvesting, transportation, exporting permits were cancelled and no new ones were issued. 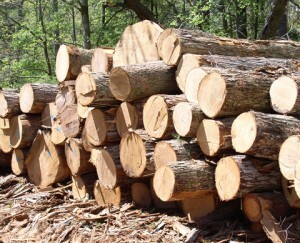 However, the ministry this week lift the moratorium on transportation of timber that was cut or harvested before November 26, 2018. This means that the timber may be transported within and/or exported out of Namibia. However, the moratorium on timber harvesting remains in place and no harvesting permits will be issued until further notice. “Furthermore, interested parties are reminded that the transport and export permits are to be issued in accordance with the existing procedures under the Forest Act of 2001 (Act No 12 of 2001),” said the ministry.